Exclusive dealing is common in many business arrangements. Changes to the Act on 6 November 2017 mean that all types of exclusive dealing is only a breach of the Act if the restriction is likely to have the purpose, effect or likely effect of substantially lessening competition. 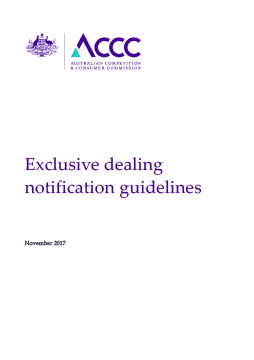 This Guide provides information about exclusive dealing notifications.